The sewer collection system is made up of over 229 miles of underground pipes, ranging in size from 6″ to 108″. 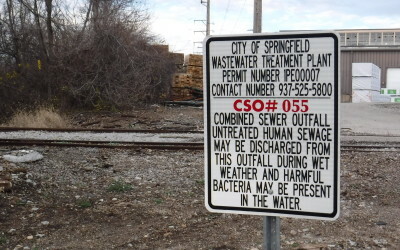 Sewage generated by Springfield citizens, businesses, and industries is collected throughout the system and treated at the Wastewater Treatment Plant located at 965 Dayton Avenue. Septic System Elimination Assistance Program- The Septic System Elimination Program is designed for properties within the City’s corporate boundary that still have a private septic system and must hook into the City’s public sewer due to failure of said system. Application forms are available at the Service Center or by clicking here. The combined sewer system is designed to collect water from storm events as well as normal sewage in the same pipe. The combined sewer system transports all of the sewage to the City’s Wastewater Treatment Plant, where it is treated and then discharged to the Mad River. However, sometimes during large rain storms or when the snow melts, the volume of sewage in the combined sewer system exceeds the capacity of the collection system. 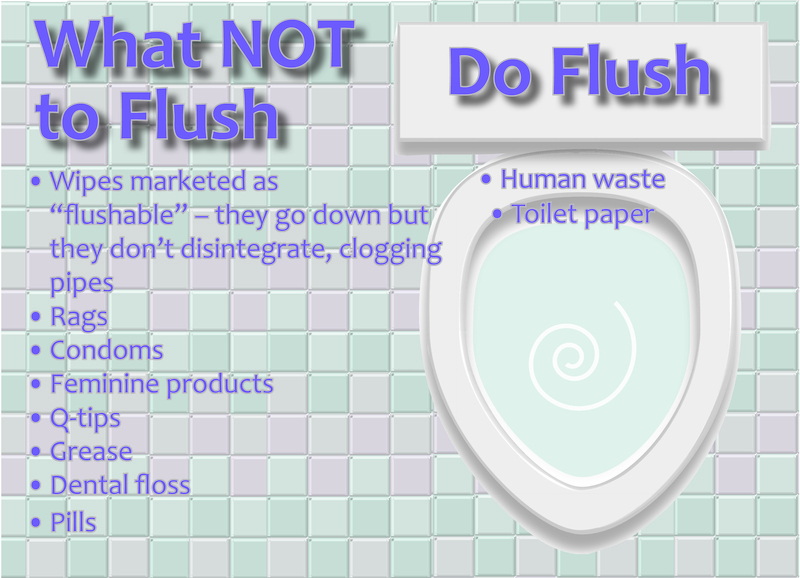 When this occurs, the combined sewer system is designed to overflow and discharge excess wastewater directly into the Mad River and at various points along Buck Creek and its tributaries. These overflows are called combined sewer overflows (CSOs). At each discharge point along the Mad River, Mill Creek, Buck Creek, and tributaries, there are informational signs describing the overflow. Click here for a list of CSOs in Springfield. Built in 1934, the Wastewater Treatment Plant is responsible for treating all sewage generated by the citizens, businesses, and industries of the City, as well as several surrounding areas. Plant responsibilities include: the operation and maintenance of an Advanced Secondary Treatment System, High Rate Treatment facility, and several sewerage pumping stations located throughout the collection system; monitoring of stream pollutants; and residual bio-solids management. As guided by the Clean Water Act of 1972, we strive to protect public health, the receiving water quality, and minimize our impact on the land. The Wastewater Treatment Plant proudly gives tours to small groups of students, businesses, organizations, and individuals from around the city. If you would like to schedule a tour of the facility, please call (937) 324-7626. We also have a Virtual Tour on the website for your convenience. Wastewater Treatment Plant Improvement History- The Springfield Wastewater Treatment Plant was originally constructed in 1935 and placed into operation with preliminary and primary sewage treatment and single stage anaerobic sludge digestion followed by a vacuum filter.